A new book tells the story of Gurmeet Ram Rahim Singh Insaan, who hailed from a farming family and went on to become the head of a quasi-religious sect before law caught up with him and put him in jail. 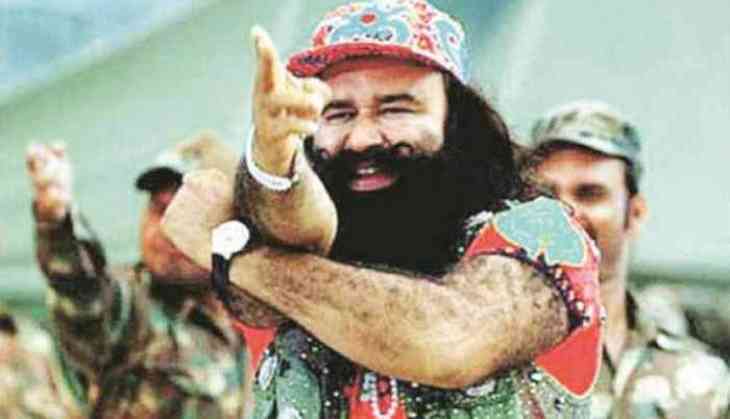 Once known for his flamboyant lifestyle, revered as a god by lakhs of followers, and someone with powerful political connections, Gurmeet is now known as 'qaidi' (prisoner) number 1997 by his fellow inmates in Rohtak jail, writes Anurag Tripathi in "Dera Sacha Sauda and Gurmeet Ram Rahim: A Decade-long Investigation". The book stems from Tripathi's journalistic investigation that began in 2007 into the reported criminal activities at the Dera Saccha Sauda, headed by Gurmeet. The story of Gurmeet's rise allegedly involved gory murders, sexual exploitation, forced castrations, private militias, illegal trade in arms and opium, and land grab at an untold scale, the book, published by Penguin, says. Tripathi argues that unlike the first two Dera chiefs, Gurmeet's philosophy was far from spiritual and it was oriented from the beginning towards the acquisition and accumulation of power. He says in order to fund his grandiose plans of setting up an exploitative empire, the Dera chief began manipulating the minds of his followers. "He started telling them that if they desired to connect directly with the supreme power, they had to show a willingness to give away their worldly possessions to the Dera, including donating their lands. Many who fell prey to this blindly signed sales deeds in favour of the Dera at throwaway rates," he says. The Dera, in turn, sold these lands at a premium and used the money to buy more land in Sirsa, he adds. Then as his wealth grew, Gurmeet thought of raising a private army to protect his empire. "In early 2000, the Dera chief discussed the idea with some army veterans who were Dera followers. A blueprint was made and recruitment for the purpose began," the book says. "The Dera's militia had three wings. The inner wing was to closely guard Gurmeet and was handpicked by the trainers. The wing's responsibility was to steer the chief away from the site during an eventuality. "The second wing was to provide external cover while the Dera chief was shifted to a safe base in case of a crisis. The outer wing was to monitor every corner of the Dera premises and not let anyone in during a crisis," it says.